Automatic writing is the process of channeling spirit directly into writing. It is a psychic ability and a form of channeling which many people find simple and straightforward to develop. For me personally, it was one of my first spiritual gifts to come into focus, and it opened the door for further exploration into learning to channel. The reason it's fairly easy to learn to do automatic writing, is because the very act of writing opens your mind up to receive inspiration, ideas, and messages. When you have a pen in your hand, and you place it onto paper, your brain automatically thinks there is going to be some sort of information, message or concept coming through. This is a natural process which happens when you place a pen to paper to write, and so receiving messages from spirit in this way does not feel scary, or weird, or out of the norm for the ego mind, and so it allows the guidance to flow though. Whereas, when learning to verbally channel spirit, the ego can quickly shift into judgment or doubt, blocking the clarity and flow of guidance. So with a pen in your hand, and a notebook or some paper to write on, you're ready to allow communication from the realms of spirit to flow through. 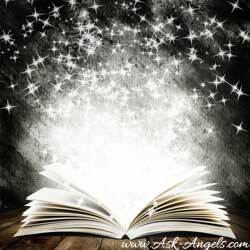 Note, that when you put in the focused effort to develop automatic writing, it's likely your supporting psychic senses will kick in to help you receive and interpret the guidance from the spiritual or angelic beings you're connecting with. So don't be surprised if you feel, sense, hear or see the angel you're automatic writing messages from, just stay present and aware, and enjoy the connection. Yes, you can also channel using automatic writing on your computer, and I sometimes do… I just find it easier and more fun to do automatic writing the old fashioned way with a pen and notebook, so this is where I would recommend you begin. But by all means, if you're inspired to give this a try on your computer go for it, test it out, or try both ways, and see what works best for you. When you're ready to begin, start by taking a deep breath as you consciously relax.In addition to your pen and paper (or computer) you need a safe and quiet location where you can connect without distractions. It doesn't have to be quiet for this to work… but especially when you're learning a peaceful calm environment will help. I then highly recommend you call in the protection of Divine white light, as well as your spirit guides and guardian angels. Once you're surrounded with the light of the Divine, ground and center your energy, open your chakras, and connect with Divine light. Visualize your energy grounding to the earth. Feel the light at the core of the earth, and feel your oneness with earth and all. Imagine light begins to flow up through you. Allow the light to flow up along your spinal column, opening and activating your chakras. Go up into the light into direct presence with Source. Feel your oneness with the Divine love and light of All That Is. Now simply relax, breathe and open your heart, place your pen to the paper, and allow the message to come through. Your pen may seem to start moving on its own, but far more likely… You'll simply be inspired with a thought, a sentence, or you'll receive one word in your mind. Write it down. Write down whatever comes into your awareness and keep writing. Don't judge, and don't worry if you mix in some ego here and there, you're just learning. One of the biggest mistakes you can make is to assume you're making it all up and to throw in the towel and chalk this little experiment up to a failure. 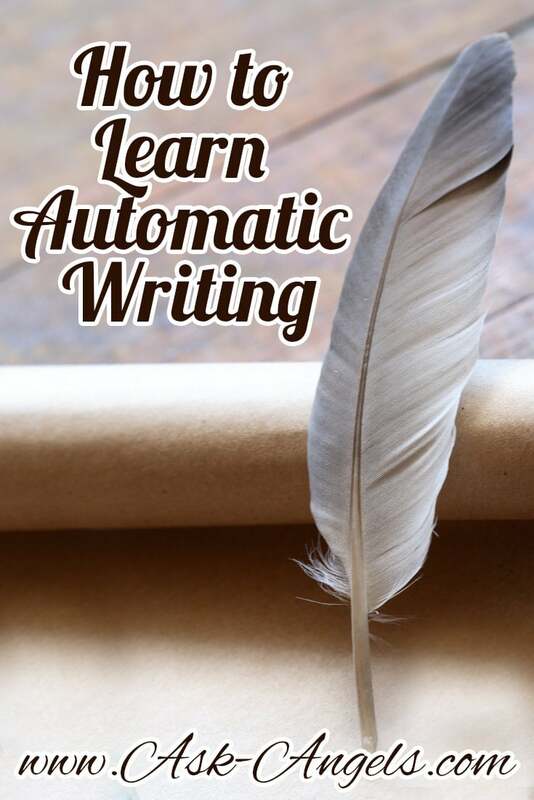 So How Do You Know If You're Really Automatic Writing Or Just Making It Up? Leap and the net will appear. Trust and the way will be shown. Take the first step before you see the entire staircase… Do you see what I'm getting at here? Like all things concerning connecting with Spirit, automatic writing takes an element of trust and belief that it will work, because at first, you won't really know if you're doing it right. But one thing is certain, if you sit down to automatic write and you think “this isn't going to work” or “I can't do this…” Then you're right! But if you believe your angels will come through, and that you can learn this (even if it takes a few tries) you can have profoundly positive experiences. The best thing to do is get yourself into a high vibration, place your intention to connect and then start writing what comes to mind and keep going. Just connect with your guides as you've learned to do above and write! The more you practice and the more you write the stronger your connection will become. If the writing seems to slow, try asking a question. It may help to write your question down… and then keep writing to allow the answer to appear. Don't force yourself to keep going when the session seems to be coming to a close. Just thank your guide, angel, or higher self, and feel your energy coming back into your physical body. Feel your chakras seal, and allow your energy to once again ground to the earth. The cool thing about automatic writing is that once your session is complete, you can read the message which was conveyed. Give yourself some time to really dial this in. I recommend keeping all your automatic writing in one place (like a journal) so you can look back and see how the messages have become clearer and how your skill has progressed. Don't worry if you're not getting super specific or life-changing information. Much of what your guides will want to convey is simple, uplifting, and filled with love. They may have reasons for withholding certain information you want to know as well… Sometimes we have to learn our lessons firsthand, and yes, I have asked questions and received the answer that I am not meant to know that information at the present time. As with all communication with spirit, by asking better questions, you're able to get better answers. Keep it playful, uplifting and fun and only connect with the highest possible vibrating guides of the light and you can't go wrong. If you are getting fear based, negative, or dark messages… STOP! Call in the light, call in Archangel Michael for protection, and move onto doing some clearing and uplifting of your vibration before you continue. Automatic writing has been very helpful for me on a number of occasions, especially when I was first opening psychically, so give it a try. Do you have an experience using automatic writing? Did you try the process above? Leave me a comment below or on facebook and let me know. PS. Ready for more? Want to Learn to Channel? Click here!!! What Spirit Guides Will And Will Not Help You With…. Clairaudience – 6 Simple Ways to Boost your Clairaudient Ability Today! Automatic writing came very easy to me. I asked my Angel’s for pertextion and visions myself surrounded by white light. I auto wrote about four times asking simple questions and one word answers. Supposedly this was my one and only spirit guide and his name was Donnavan. The last session, when I asked him to draw himself he looked just like a reptilian. My mother told me that they can do that and manipulate you through auto writing so I stopped and cut all ties with this being and threw out all of the pages. Have you ever heard of this happening to anyone else? It really freaked me out although everything seemed fine until he drew himself. Hello Melanie, does one communicate with the same spiritual guide during an automatic writing session or does it change with every session? Thanks, Craig A. Hey Craig… It honestly depends on your intention and level of connection with your guides. It could go either way. It depends. I imagine it would most often be the same one, but things can change. The way I understand it, guides are not like Angels in that they can be in multiple places at once, so I imagine it’s possible for your usual guide to be busy at times . Many of our guides can even CHANGE throughout our lives. We can lose some, and gain some, depending on our ever-changing needs..
Hello Melanie, I just read your page on writing through your higher self and your guides. I have been writing for years. Also have had a couple of sessions I have been to from two different ladies , who have connected to my guide and have many wonderful gifts. They have both said writing for me is special, and most of the time it is my guide helping me naturally write what I write. Which always comes off into poetry during times I have felt great loss and sorrow. And have had lots of emotional turmoil. I don’t know how or why the words just seem to flow and after I’m done I sometimes wonder if I even wrote that. I have shared some of my most intimate writings with family and friends , and have a public blog of some. And it has really helped people. Especially those who can relate. And also have been told that my writings are very beautiful and well written. But, As of the past year and now especially, I cannot seem to get anything outn and nothing flows. Occasionally, I get insiped with random thoughts and begin to write. Then get list, and I just can’t seem to get back to where I once was. Writing is my passion. Especially poetry. But I could really use your advice on how to clearly get back to a higher mental state in order to continue doing what I love with pure meaning and truth. Any advice for me would be wonderful. I know , writing is a part of my gifts that have not fully come out. I just feel lost trying to get back intune. If that makes sense…Thanks for your time. I hope to hear back from you! Hi, I’m a 14 year old kid and I tried automatic writing I am scared because I made contact with the same spirit that had contacted a famous person from youtube I don’t know what to do. Yes. I have always been writing. Even as a kid, writing my feelings, fear and doubts were more for sharing or getting it out of my mind. 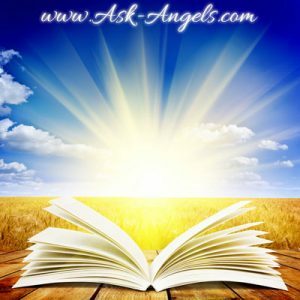 I didn’t know about channelling or angels until in recent times I chanced upon these sites and videos. I write letters to God and have been answered most of the times. I kind of understood what you are saying about automatic writing. I do write a lot on various topics. Topics I am unfamiliar with also. When I read them back, it intrigues me whether I wrote them myself or someone helped me. The coining of words or sentences or the subject matter itself is something I never thought about when I sat down to write. Please do read my blog posts at sujame537.wordpress.com. This number 537 has no meaning to me but this is the ID that came to my mind when I decided to start my own blog. In all my 53 years, I have written poems, short stories or random topics and for essay or oratorical competitions for others. I never gave any special importance to this way of addressing my life to God. It is just that I took refuge in writing as a tool to communicate with god. That’s all. Thank you so much for sharing about automatic writing. Love you for all the efforts you take to make your readers happy. I have tried automatic writing before and I find it amazing. I practice shamanism so I am familiar with working with light. I am self taught. Books inspire me as well as being in touch with my inner self. I feel everyone has special gifts but many are stuck in fear of the unknown. It is possible to conjure up dark spirits, however; burning sage dissipates the negativity. I always hope that people realize we gain wisdom as we age. Some are born as old souls and have wisdom at a younger age. I have never been fond of the ego. It’s great to have good self esteem, however; humility is much more attractive. It’s time I clear my chakras anyways. I can feel blockage in certain areas. Great information. I don’t know if you’re still reading comments on this, Melanie, but I just tried automatic writing for the first time. When I read the article at first, I felt a tingling up my spine while reading through the protection part of the process. It almost felt like my chakras were opening while reading it. I also felt an immediate need to write and I didn’t even have a pen or paper ready. It frightened me, so I stalled on trying this for about 20 minutes. I tried it. I know ego had its way a bit (at least I think it did), but I got a message from “we,” not “I.” My messages were from three Spirits or Angels. I also got “911” nine times, as well as some symbols I’d never seen before. I thought you might like to know. This was all quite helpful, and I’m glad I found this and tried it. It didn’t last very long, but I didn’t have any questions ready. Thank you. First try It looked like a small child’s writing I got a sideways looped l followed by wonky ove! Love. I was blown away! Hello. Please just talk to me, Michael. Hello. It’s nice to see you again, dear one. You are looking well. I’m glad you call on me so often. It’s not like a human to be so willing and trying to openly communicate with us angels. I find your eagerness to learn and grow endearing. Thank you, Michael, for saying so. I’m glad that you are so willing to speak with me. Do you like to watch television? I don’t particularly watch television. It doesn’t appeal to me and I’m quite busy caring for humans on a daily basis. It’s how most people imagine it would, though it’s not a place of clouds. It’s an entire world of light that vibrates with life and is attached to the Source. That’s cool! You know you are really fun to talk to! Say hello to my cat? Do you ever get tired? We all have our own energy field that is connected to the Source and we are always recharged. Okay. I don’t have any more questions right now. Just talk to me? I quite enjoy your human world, even in it’s dark days. There’s so many things humans get to experience that we angels will never experience, like hunger or hate and things of that nature. It’s quite fascinating to watch how you humans fight over things that seem so small in the grand scheme of things. We can’t identify with the motivation which drives you people to do the heinous things you do. I understand, Michael. I’m glad you’re here with me. I’m glad to be here. It does get boring and lonely sometimes. I do like talking to humans, but so many don’t talk to me. I love spending time with you. Why is your aura blue? Because it’s the color of power and protection and love, as my main role is as a guardian. Awesome! Do you like to watch people draw? Yes. I find that watching the creation of artwork is peaceful. How do I know you are really Michael? Oh, you ask that question everytime. Why do I always have to prove myself to you? You humans are so doubtful of things that are obviously in front of you. No judgement, just observation. I know your ego gets your mind, but we love you. We want what is best for you all. I cannot prove myself any other way than just talking to you and being here for you. That is what I know you want the most. So, please stop questioning me, dear one, and just enjoy the communication we share. You are quite a fantastic angel. I love you dearly. I am glad. I enjoy the company of humans, especially the ones like you who are willing to keep their heart and mind open to things they can’t see. We are always with you. It only takes a bit of awareness to communicate. I am so glad you enjoy our time together, dear one. Yay! Your aura is so soothing, Are you with me while I sleep? Yes, child. You are quite unaware of how often angels visit while you sleep. Your dreams are easy to tap into and we are able to influence them to benefit you. This is really fun, Michael. Can you help my depressed friend? Yes. I would love to help him even if he does not see it. We help all those who need it. Thank you. Will you please help him? That certainly is a question for the Source, but I will do my best. Thank you, Michael. I think I’m done writing, but will you stay close? I love your presence. Ofcourse, dear one. You never have to worry about me being too far from you. Good night, little human. May God rest your soul and renew you for another day. Love you too, little one. Bye. Beautiful! I’ve never tried automatic writing but I am definitely going to give it a try. My Clair’s have began opening and my clairaudience and claircognisance is the strongest, and am open to develop all senses. Thank you for the beautiful message from Michael, Litle One ?? I tried automatic writing but j could predict the letters i am about to write and know what letter and word i am writing, am i doing it right or is it the wrong way? Hope to get your reply very soon, it is really very imp for me.. Sorry I’m not Melanie and can’t speak for her, but I do think that if you’re able to predict the letters and words to write, this comes from a divine place. So I believe this is a right way. You talk about writing does the same happen with drawing, I recently had an angle request through me to draw a picture of her. now I am not an artist and for most the time my eyes were close to being shut. She gave me a name and the glow over the drawing was very bright telling me she loved what I had drawn. I tried this just now. Angel spoke to me. I could clearly make out the difference as to when he spoke and when i started interrupting with my own words in my head. Wow. This is a great way to directly let angels talk to you. thank you. Something new that i found out today. I have been doing automatic writing for a year and a half now and have helped a few friends in connecting with their loved onez. but occasionally I get names wrong or numbers & dates. for one particular lady a few questions wrong too. This has never happened before. i will try the grounding energy and opening of chakras the next i wtite. I have been doing automatic writing for about six months now. I just found your post and it has a few steps I’ve been missing (calling in the light and chakra opening). I am going to try it the way you have described and see if it helps with the interference I’ve been getting. A few minutes into writing, it seems like things change and I start to question who I am speaking to. It starts strong basically and then gets jumbled.